With well over 1000 sq ft of space, We’re really lucky. We have over 1000 sq ft of floor space. We never discontinue dresses because we don’t have space to keep them. Space is something that we are not short of so we never have to “make space” for the new designs! Since we provide a wide choice of styles, we only reluctantly ever discontinue a dress and sell our sample. Unfortunately, however, we are sometimes designers will decide to discontinue a dress for a variety of reasons such as tweaking the designs, changing the fabrics used and when that happens, it presents a fabulous opportunity for you! 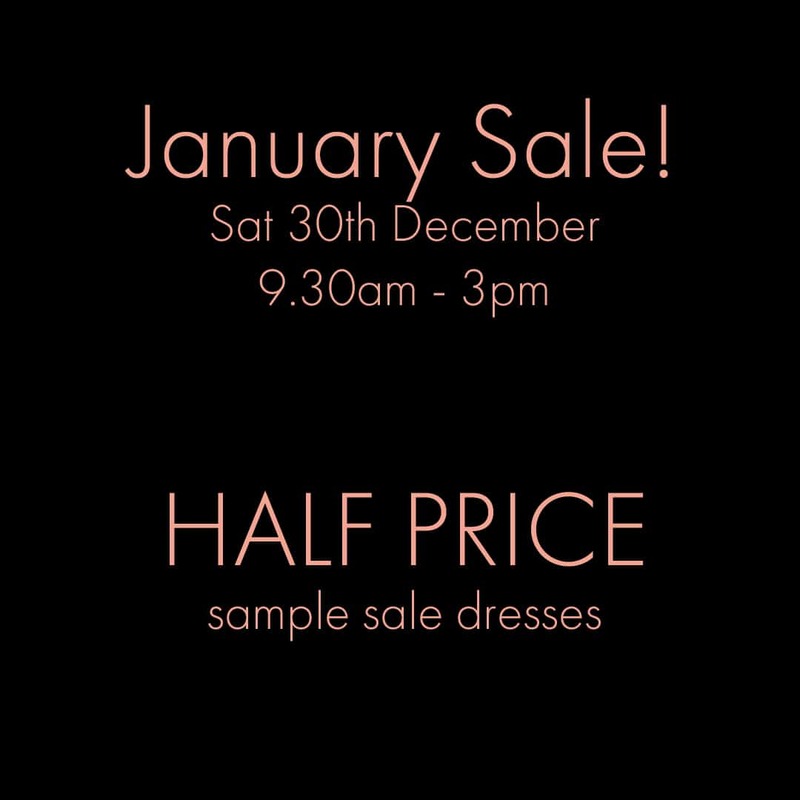 Our sample dresses are sold at a fraction of the usual price. Because we have a vast range of dresses, our samples are not necessarily tried on that much. All are fairly new and are in excellent condition. These dresses have never ever been worn! In some cases, the movement in exchange rates and resulting increased prices of imported fabrics has meant that it is no longer commercially viable to make a particular dress from the same fabrics whilst keeping the same prices. That that can lead to changes in design, fabrics or prices in new collections. That is no bad thing but it gives you a fabulous opportunity to get your dream dress at a fraction of the current retail price …… and an even smaller fraction of what it would probably cost if it were still to be made. We only have one of each dress available – when it’s gone….. it’s gone!